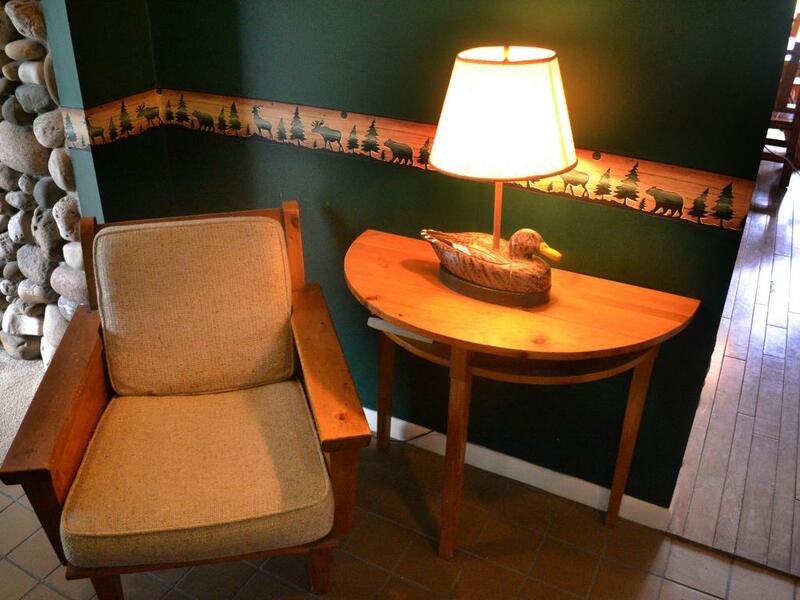 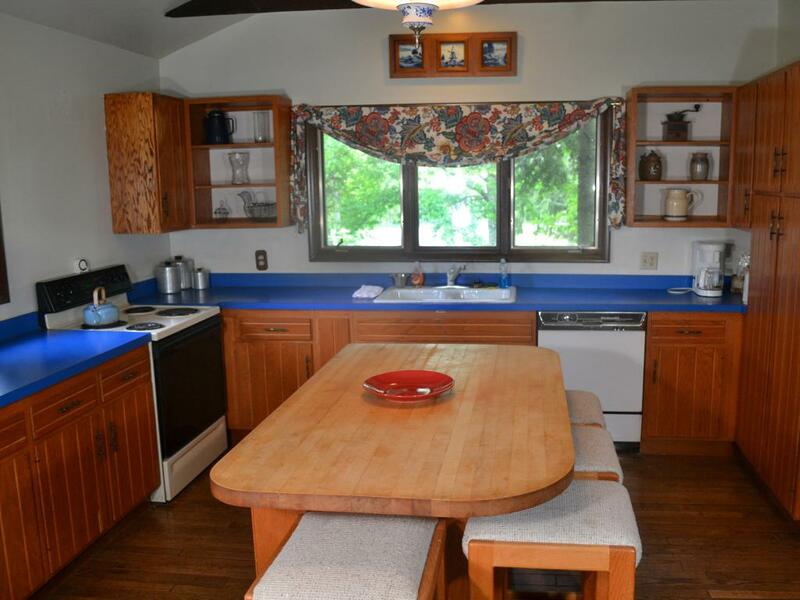 Real birch tongue in-grooved paneling has the feel of grandma's cottage bedroom up north. 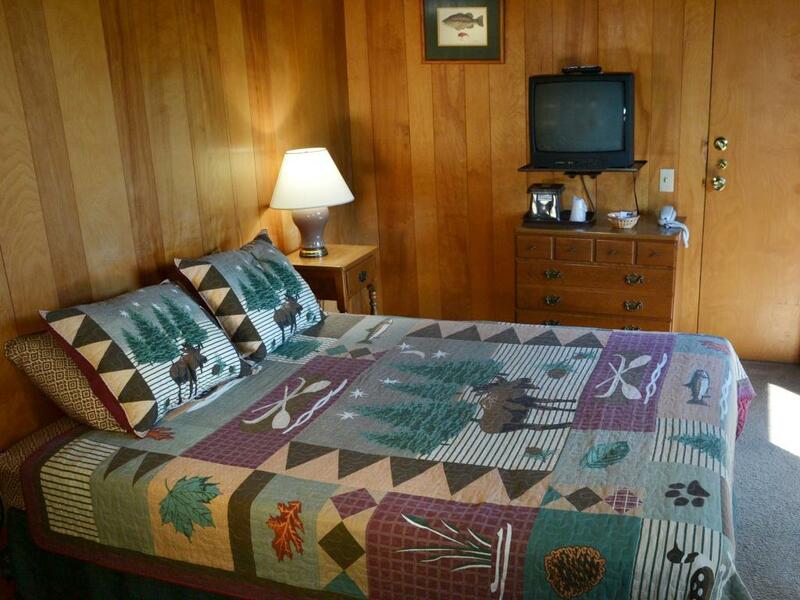 Warm wood tones, a queen size bed, and a retro tiled bath - perfect for a good night's sleep. 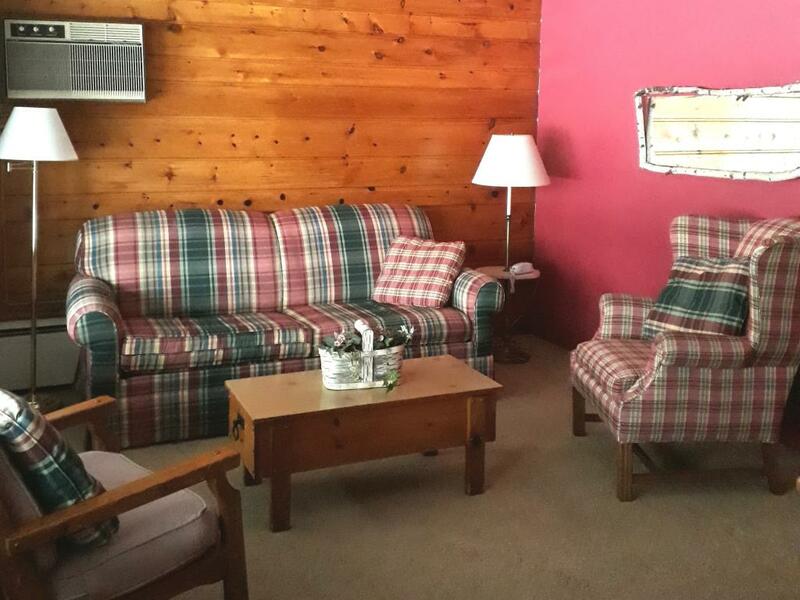 A Cottage Room can adjoin a Birch Room, please call directly to make arrangements, 231-526-2151. 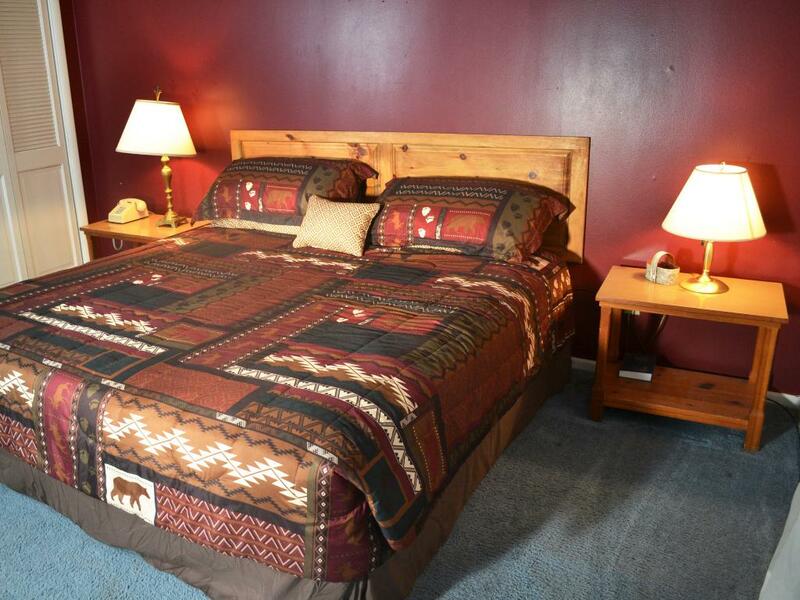 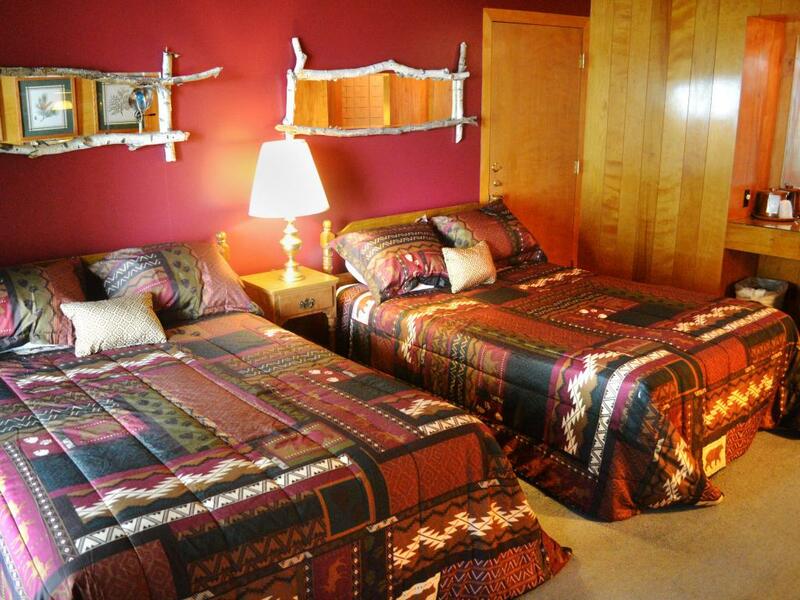 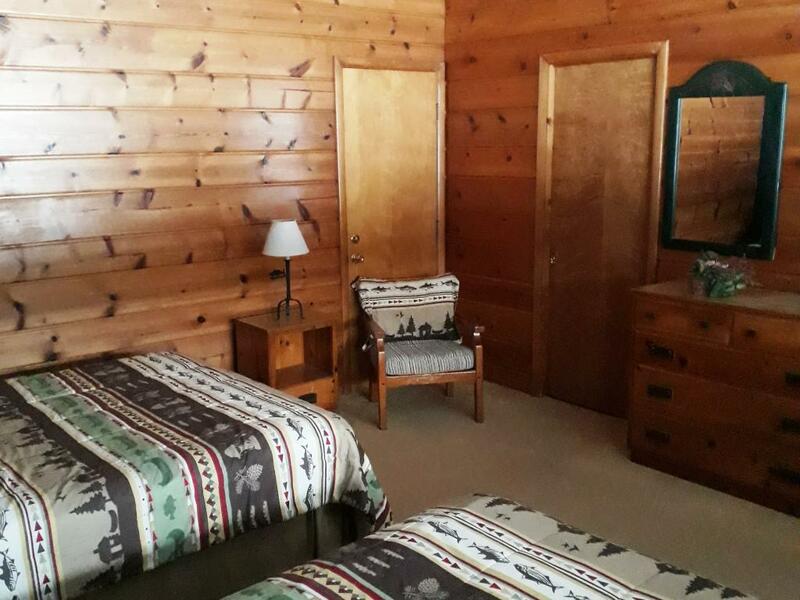 Northern lodge decor with real birch paneling and deep earth tones welcomes you into a very comfortable room with two queen beds and tiled bath. 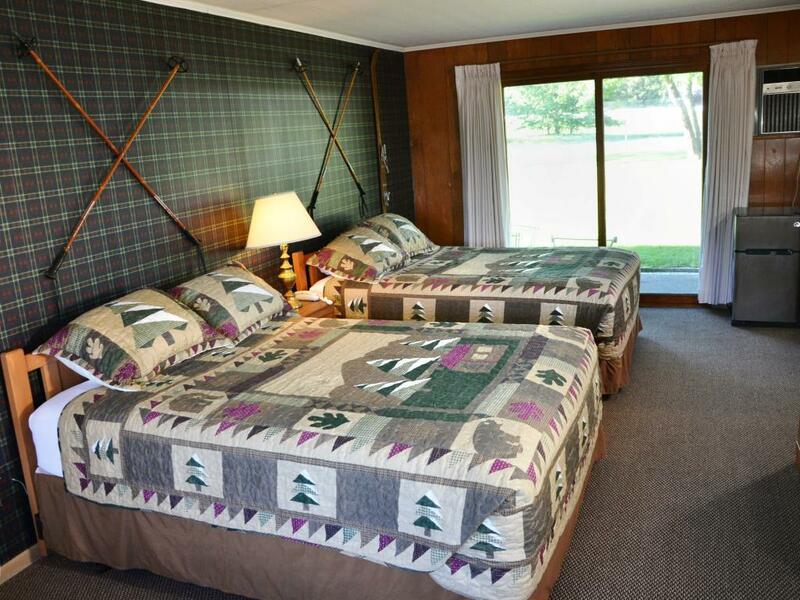 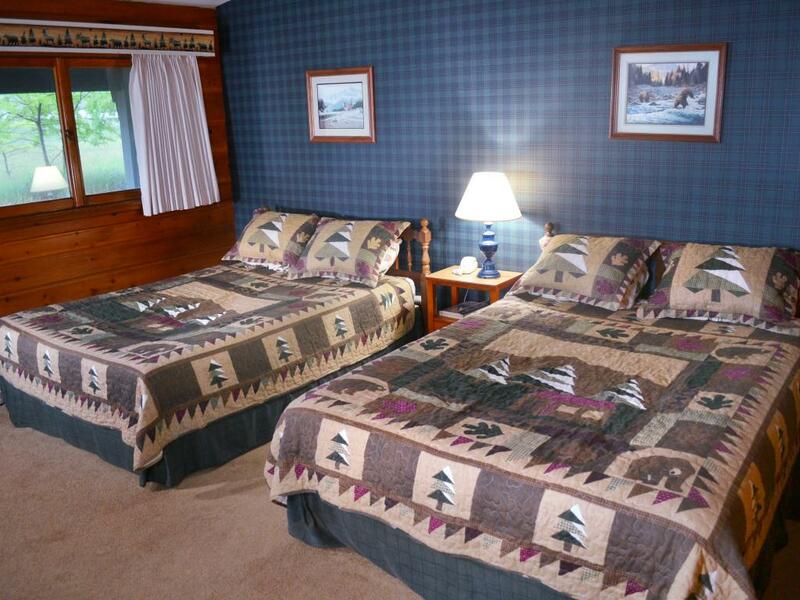 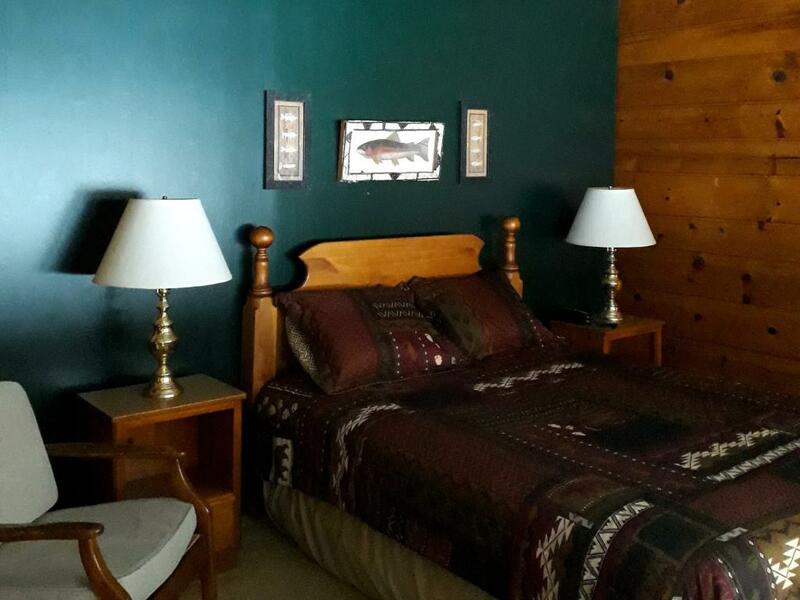 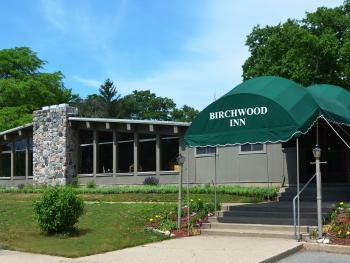 Birch rooms can connect to other Birch Rooms or a Cottage Room, please call to make arrangements, 231-526-2151. 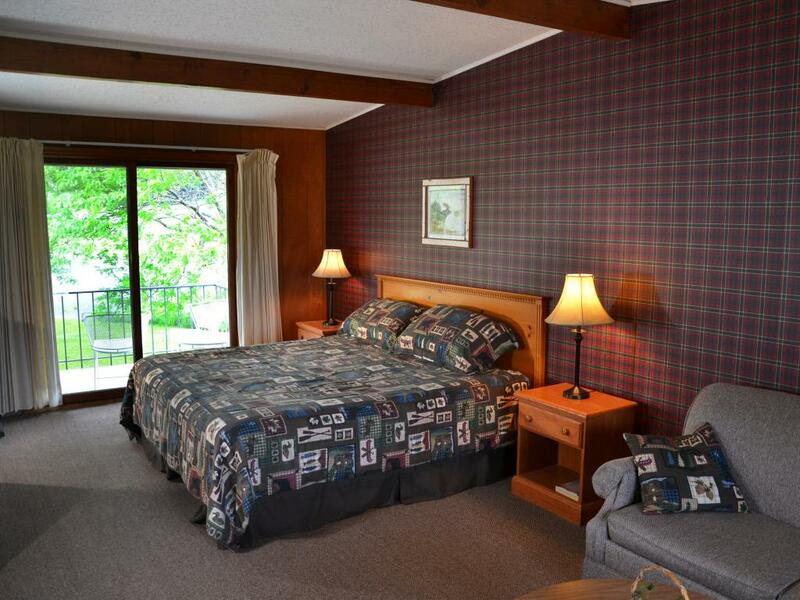 Lovely spacious room with a private balcony overlooking the courtyard and pool. 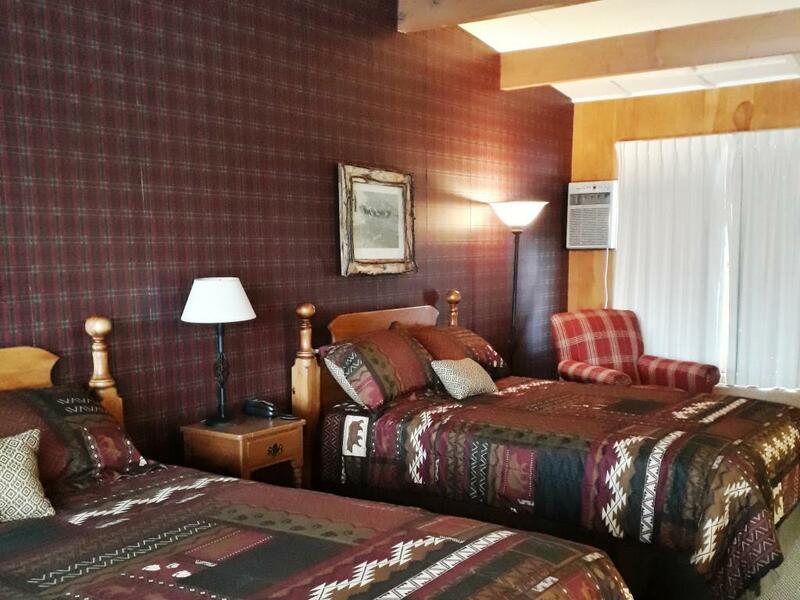 The room has a king bed, pull-out sofa, refrigerator, and coffee pot. 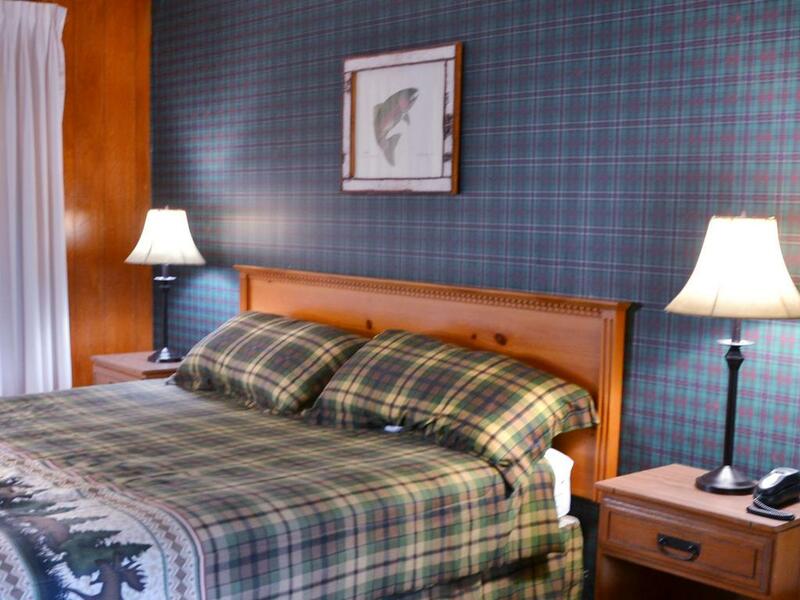 The King Balcony Rooms are located on the second floor accessed by stairs. 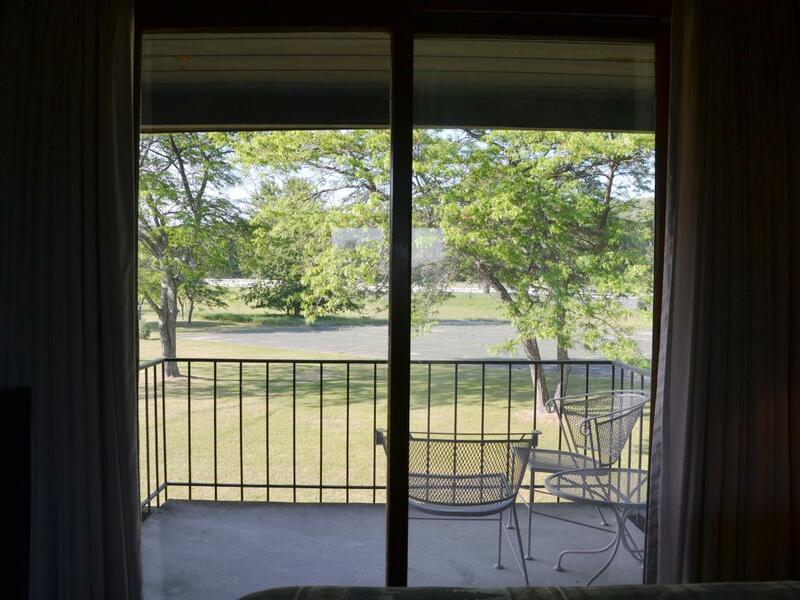 Extra large room with a sliding glass door to your own private patio. Inside are 2 queen beds, retro tiled bath, refrigerator and coffee maker. 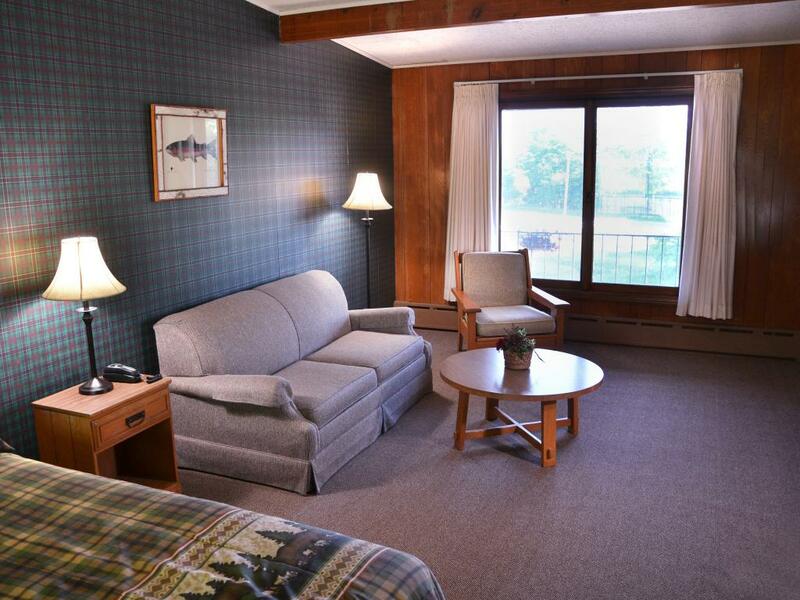 The Patio Room is the prefect place to relax. 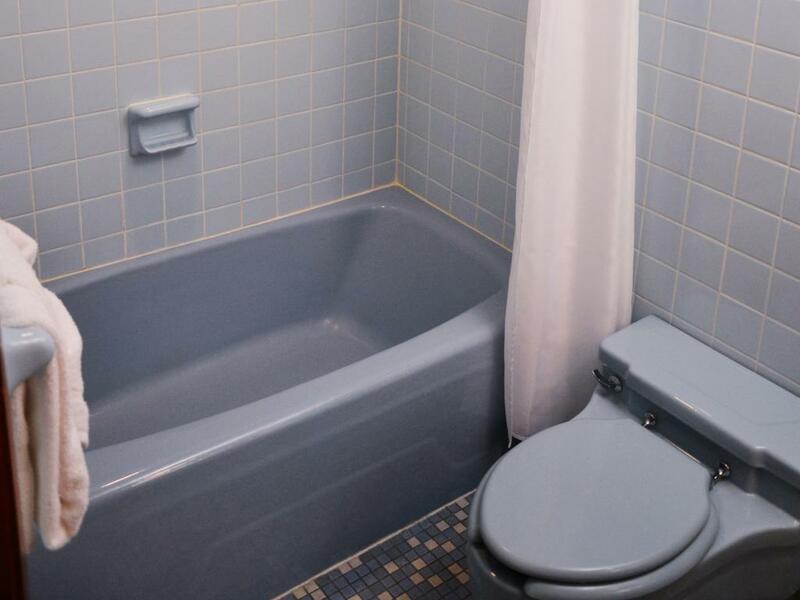 Sweet and simple. 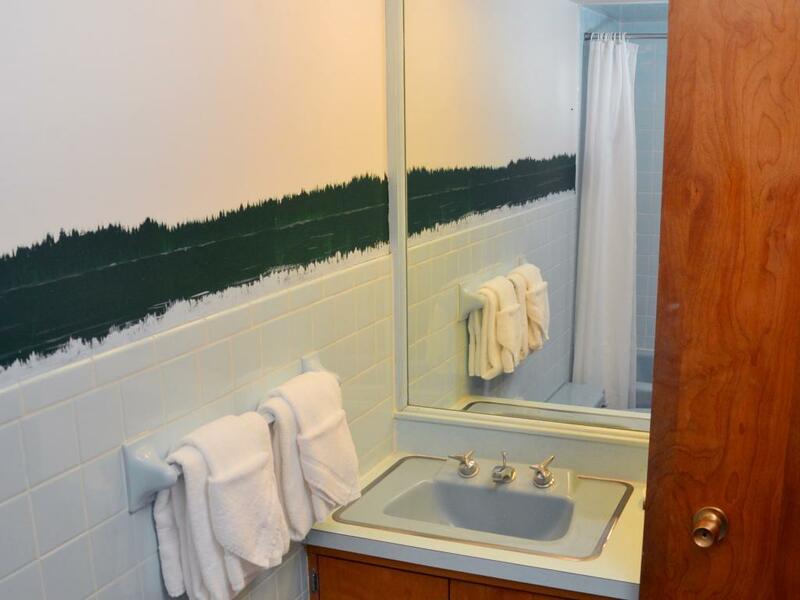 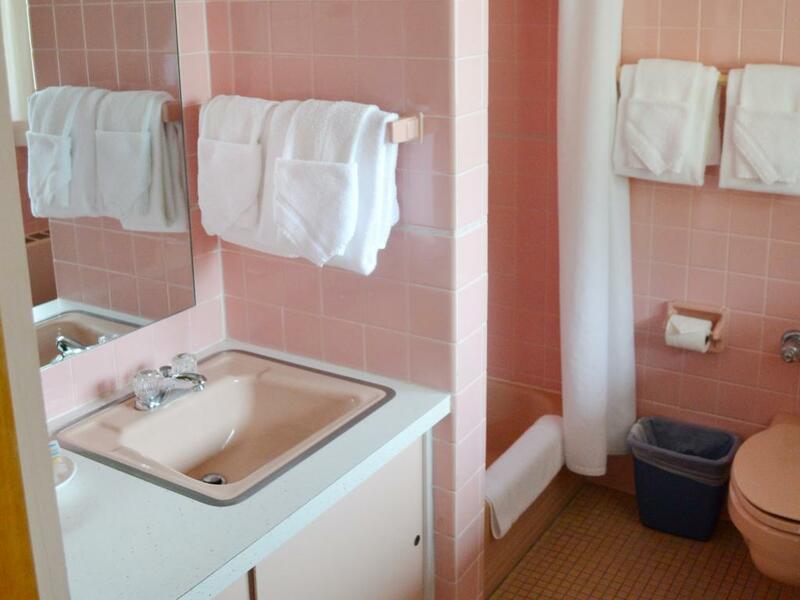 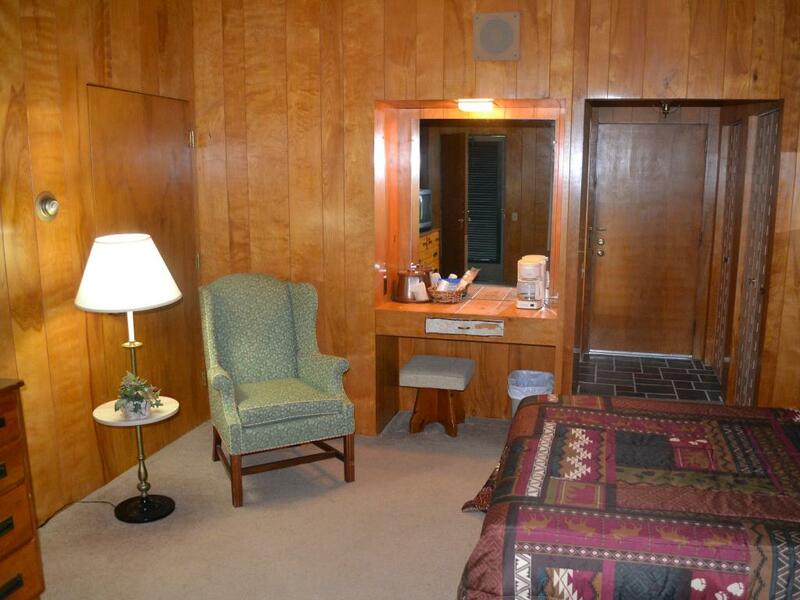 Nicely appointed with two double beds, retro tiled bath, and a cozy reading chair. 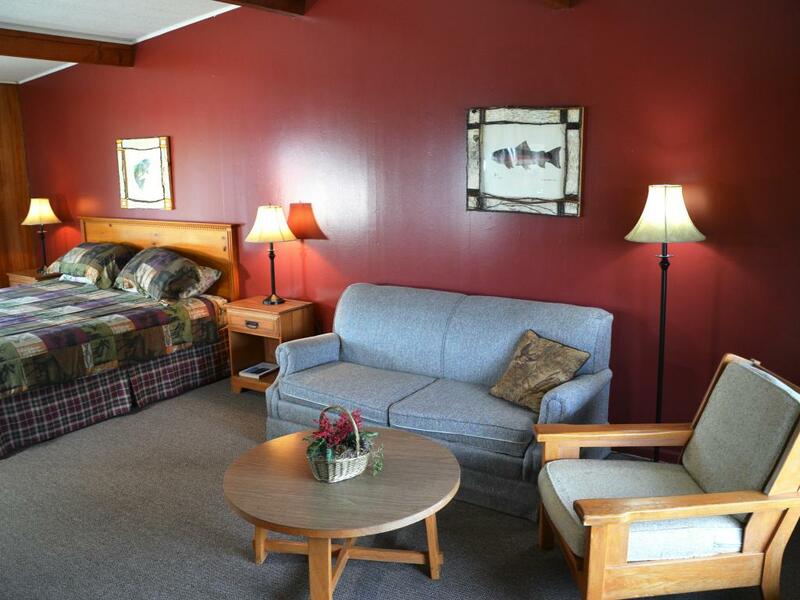 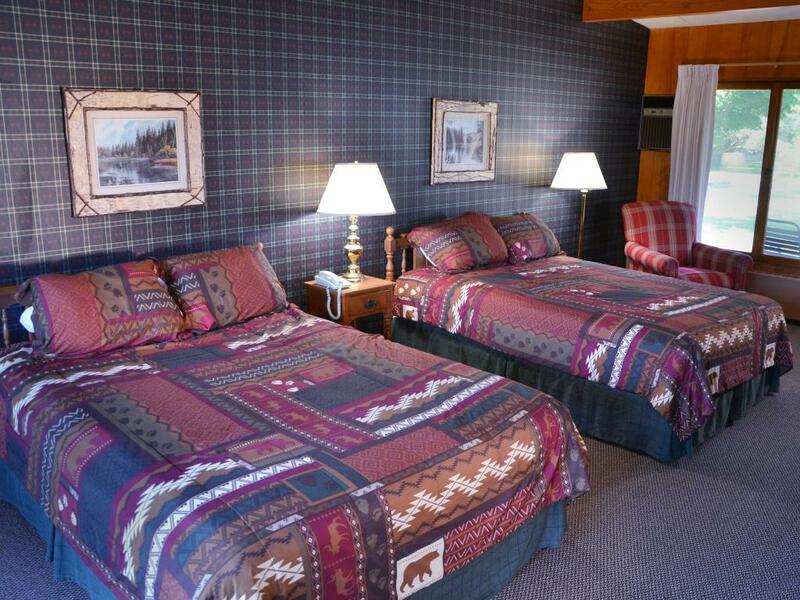 Pine Rooms can connect to each other, please call directly to make arrangements 231-526-2151. 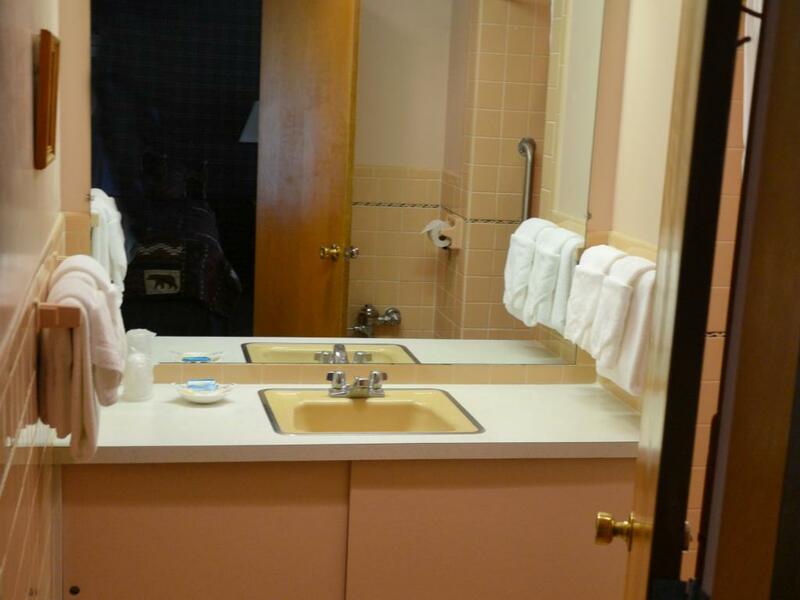 This is a 2 room 2 bath suite with privacy door. 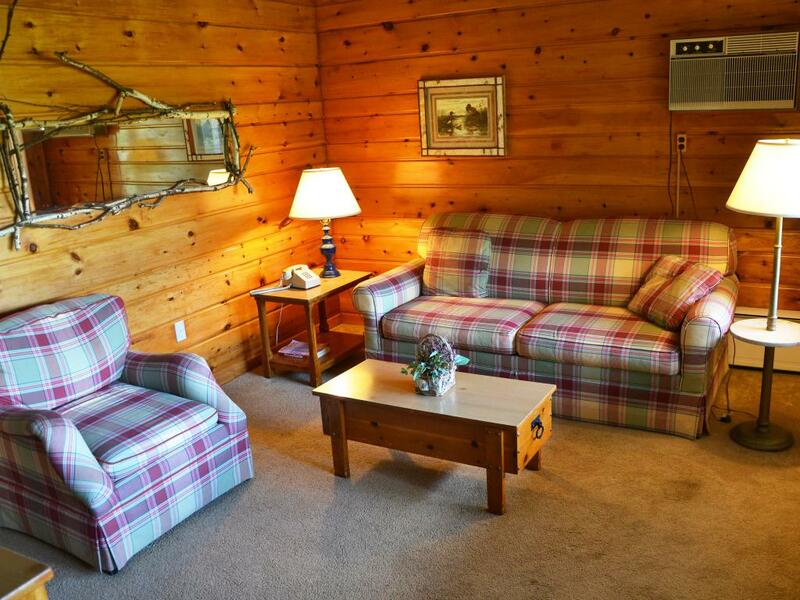 The living room features a pull out sofa, television, refrigerator, microwave, coffee pot and full bathroom. 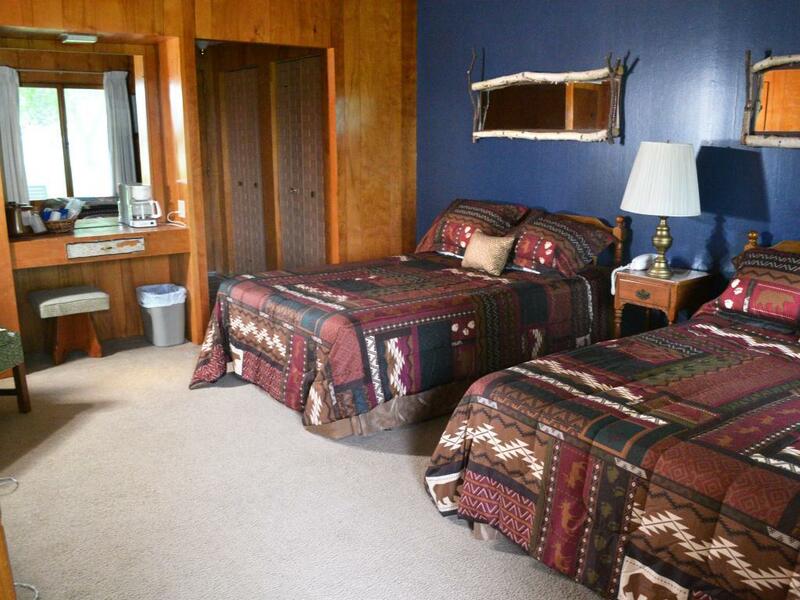 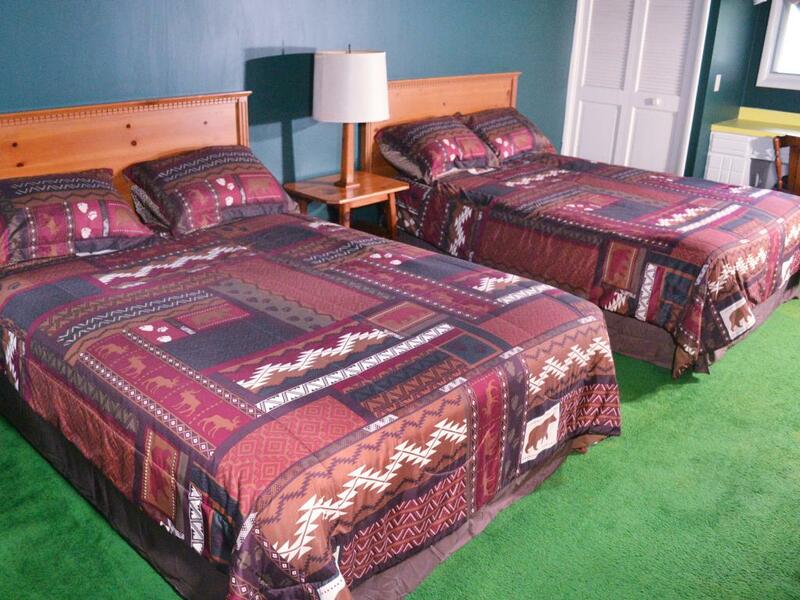 The bedroom has 2 queen beds, television, and full bathroom. 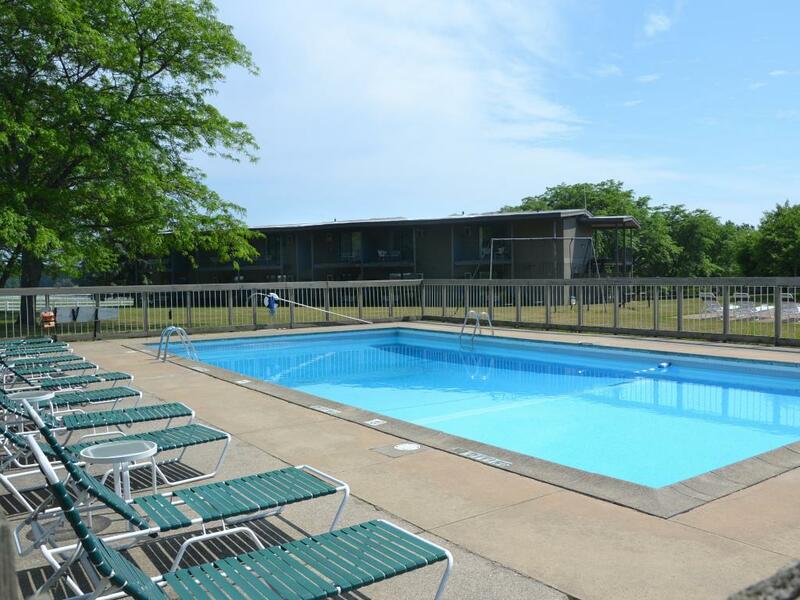 This apartment style unit has a full living room with fireplace, kitchen and dining area, plus 2 bedrooms, each with private bath. 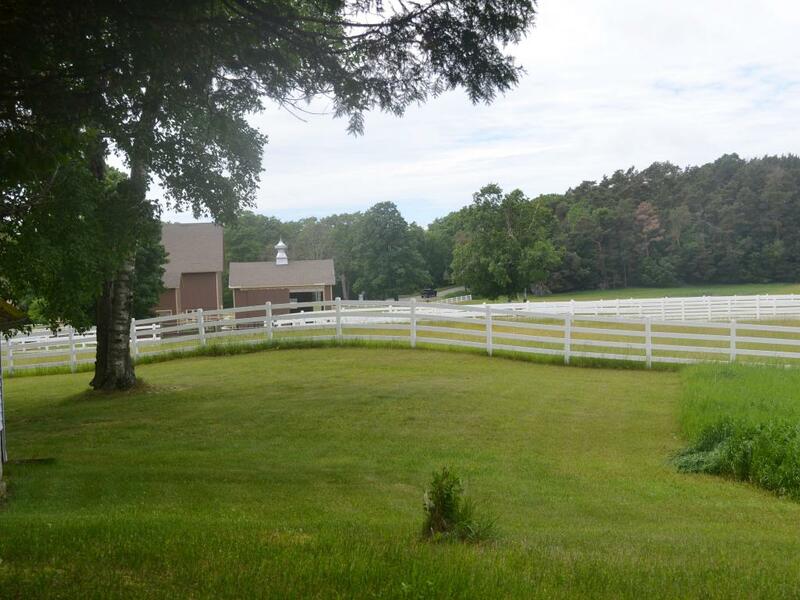 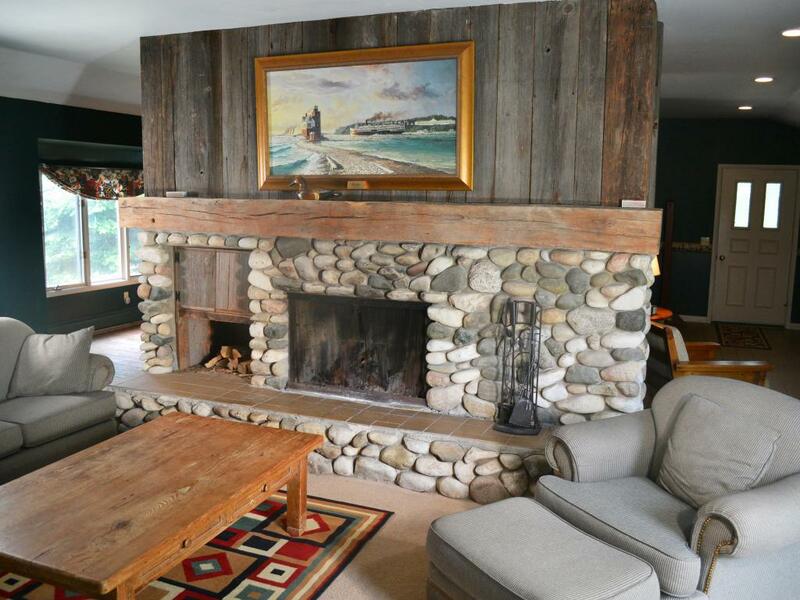 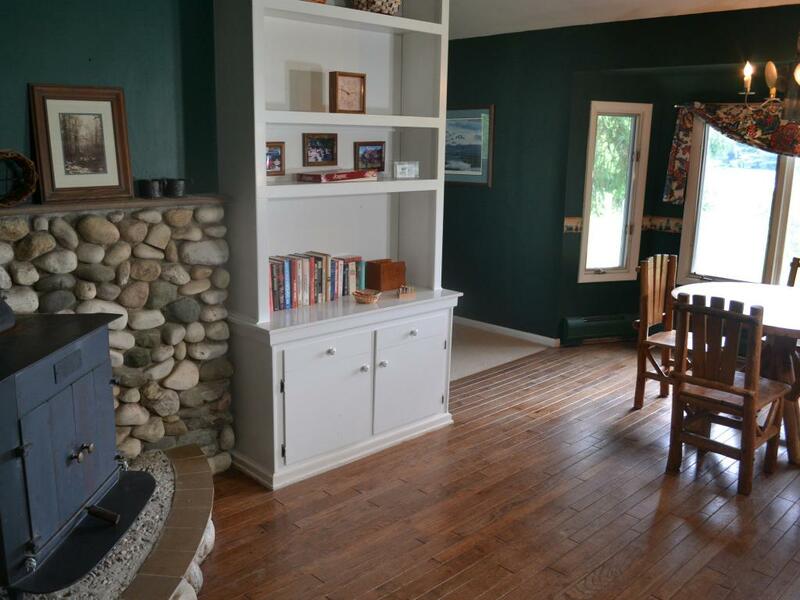 Enjoy the field stone fireplace in winter and the private deck in summer. 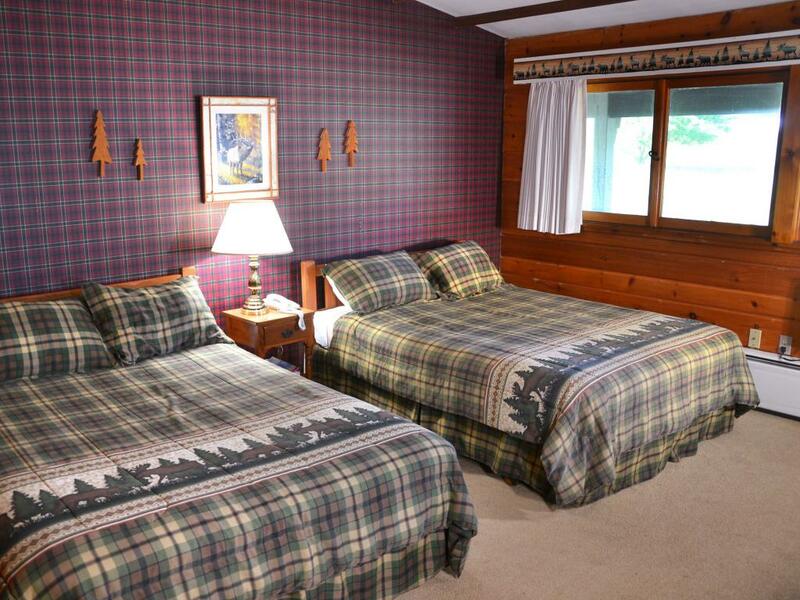 Perfect for extended stays and family gatherings. 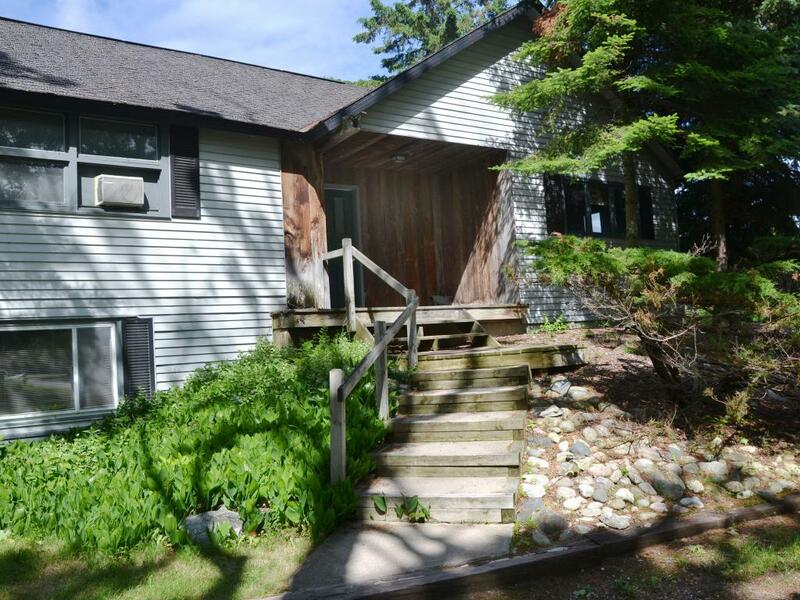 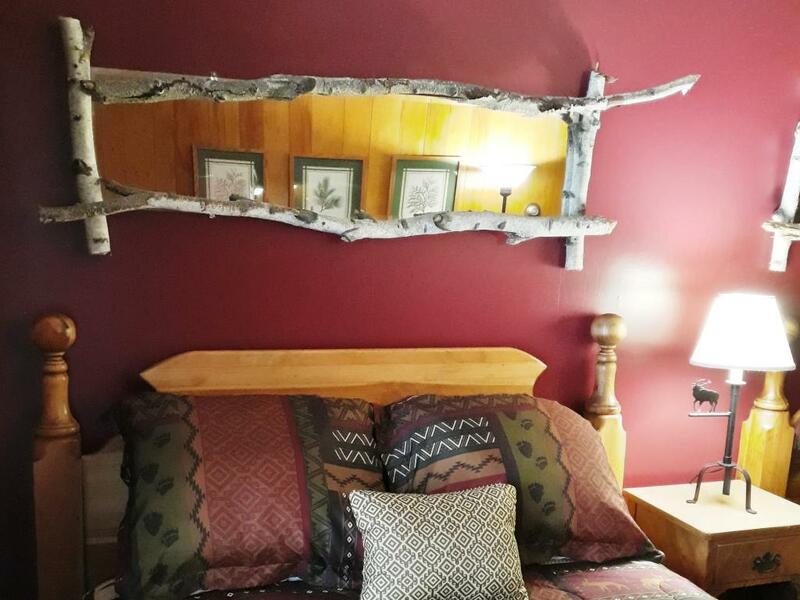 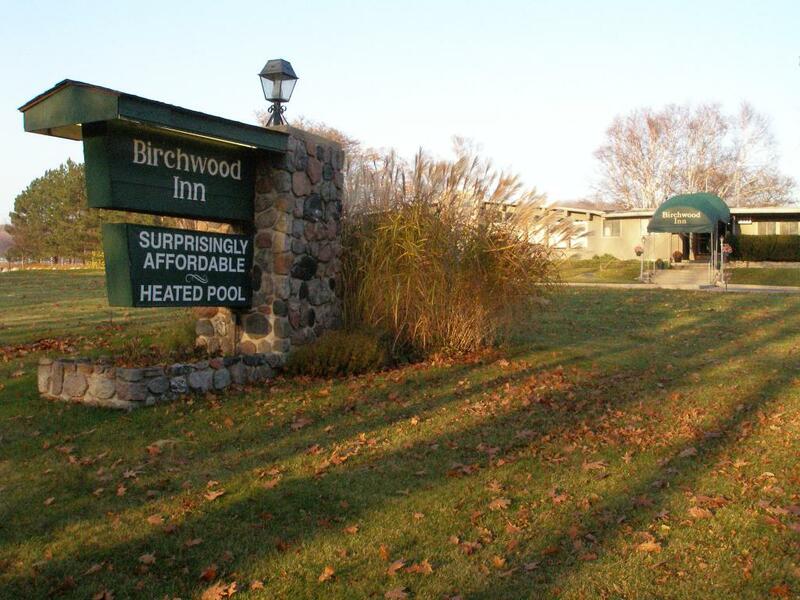 Birchwood Inn of Harbor Springs is like staying at your best friend's cabin up north. 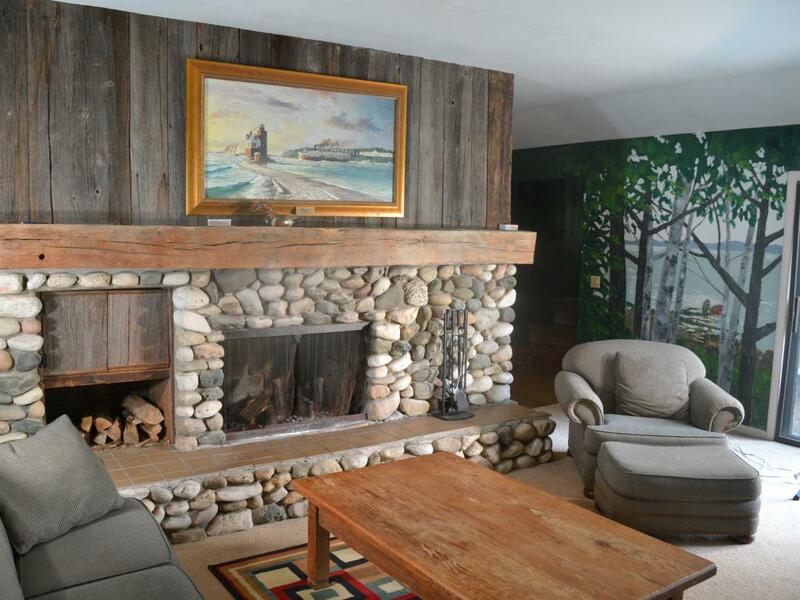 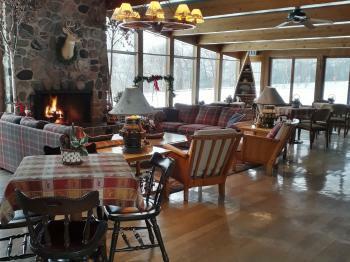 Cozy chairs, field stone fireplace, tranquil setting. 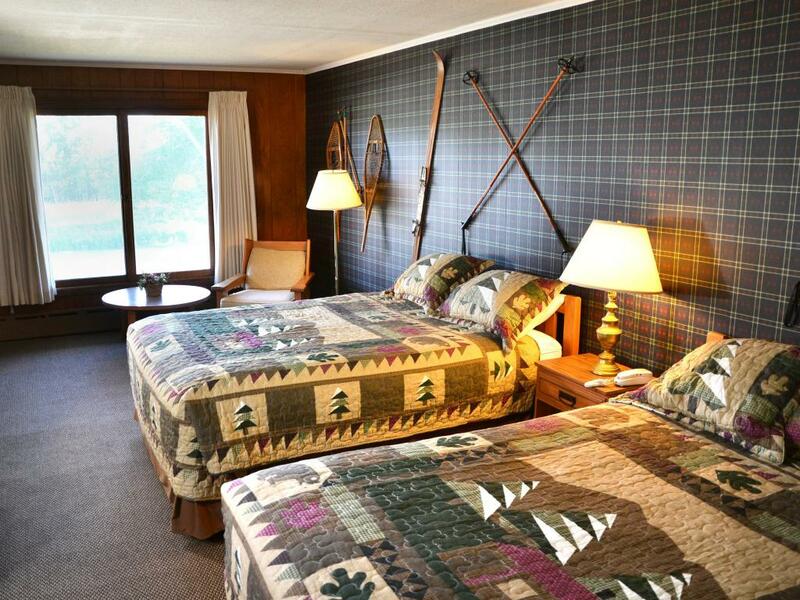 A place with history, wood beams, and lodge decor. 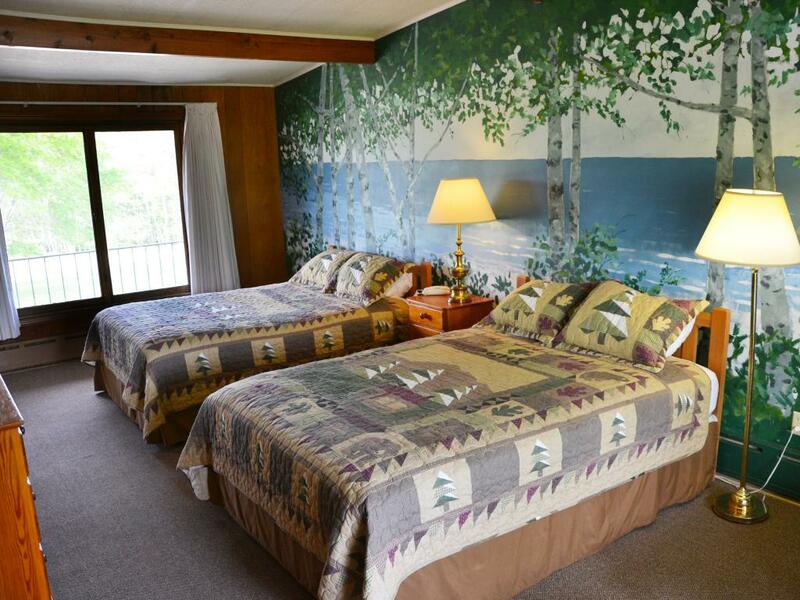 Uniquely decorated guest rooms in a variety of styles to best suit your needs. 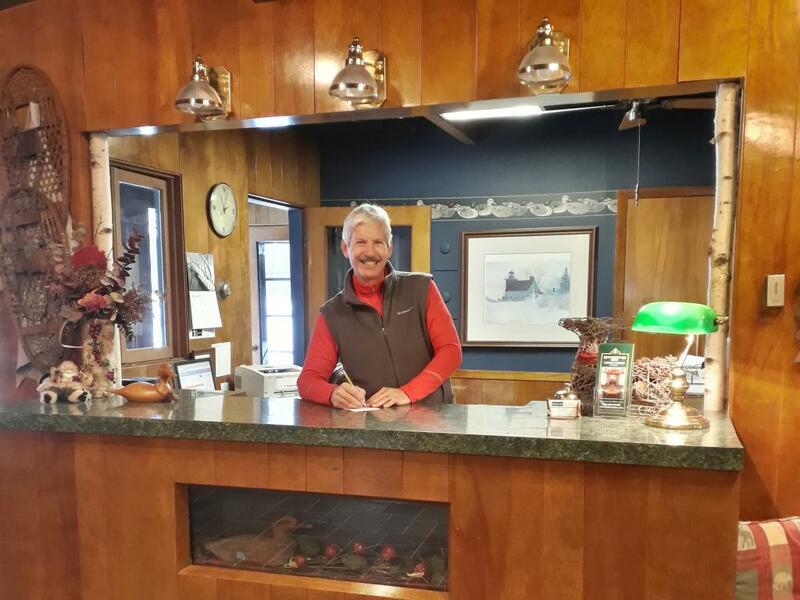 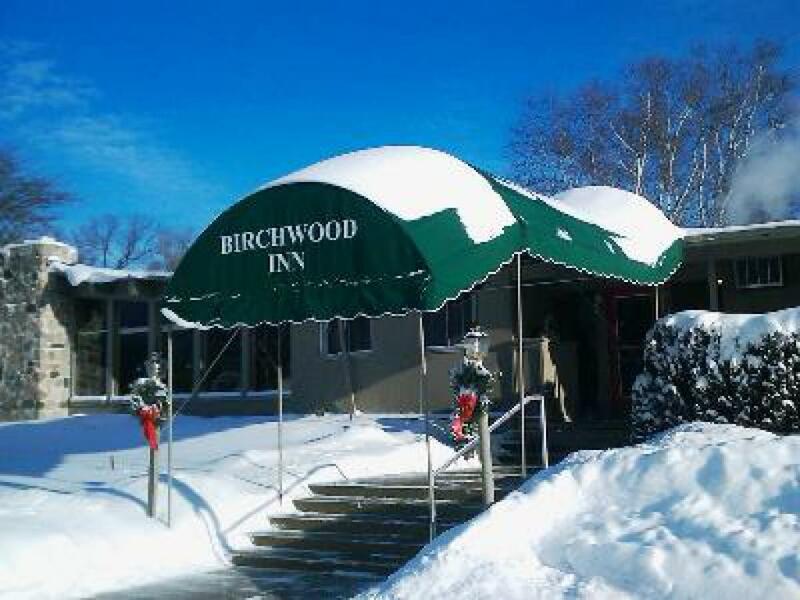 Throw in warm hospitality that comes naturally from a seasoned staff and you will find yourself at Birchwood Inn. 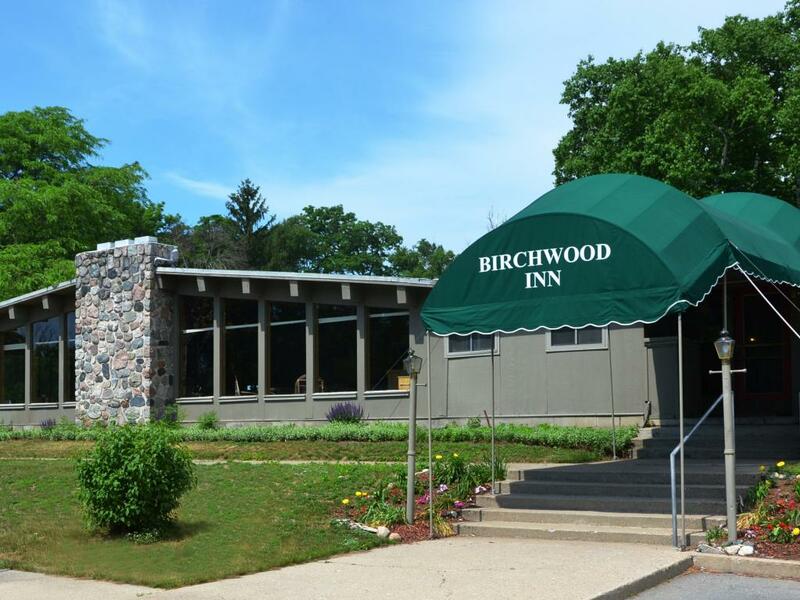 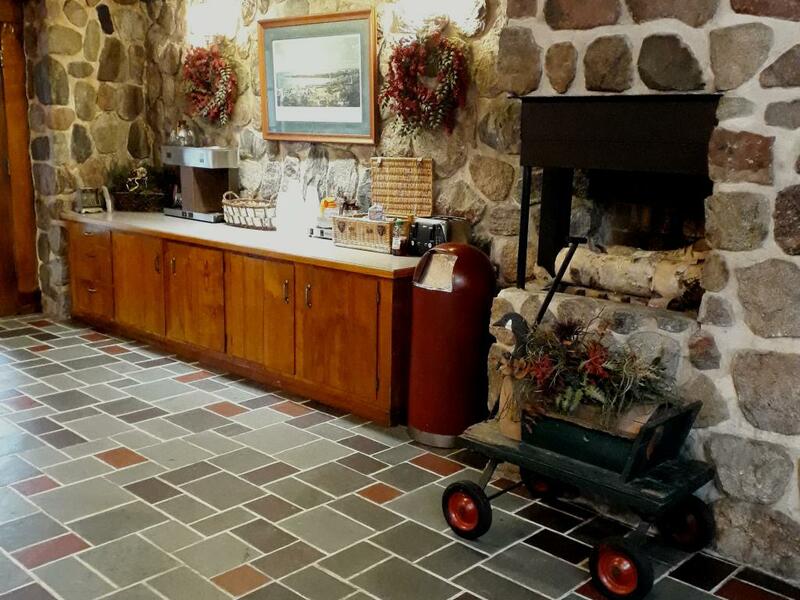 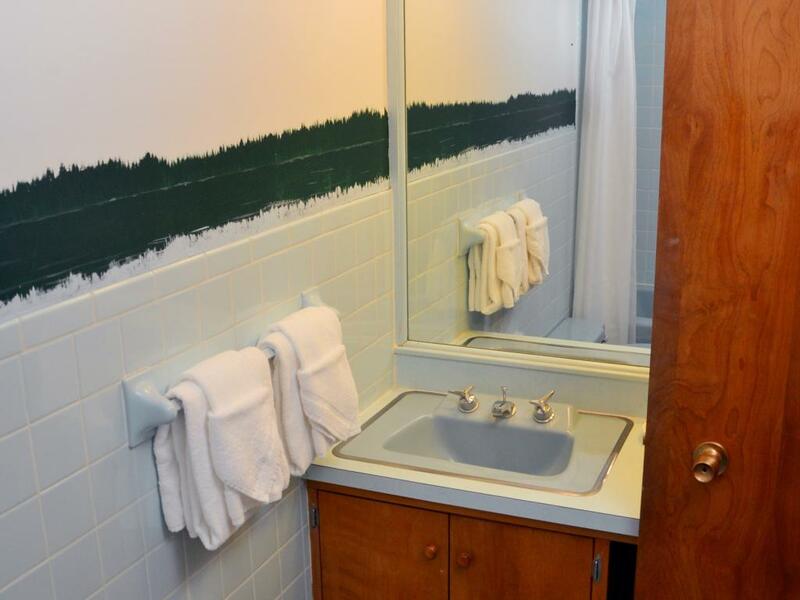 Built in the early sixties as a corporate retreat for New Era Potato Chips, Birchwood Inn now welcomes individual guests and group gatherings alike. 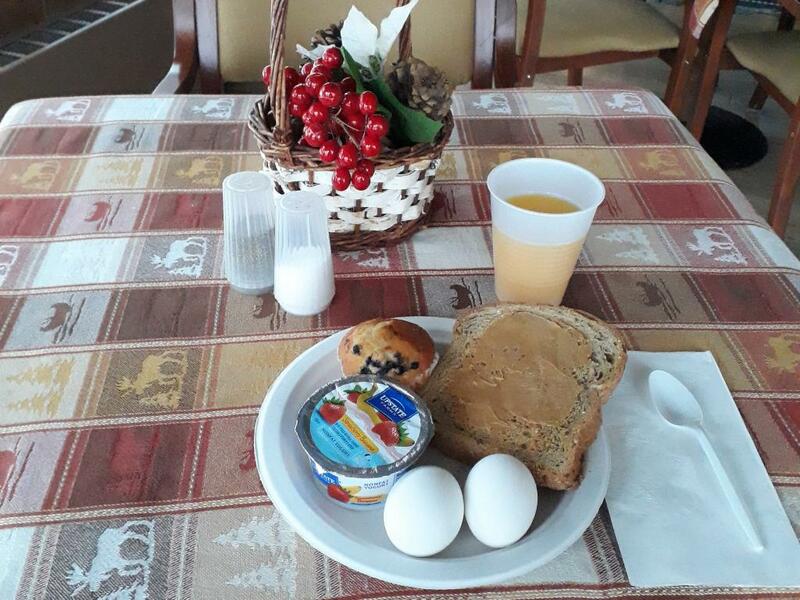 Guests begin their day with a complimentary continental breakfast in the Fireside Room and often continue their enjoyment in the courtyard or lounging by the outdoor pool in the summer. Fall brings the "Tunnel of Trees" to it's full glory, with the Inn located at the very beginning. 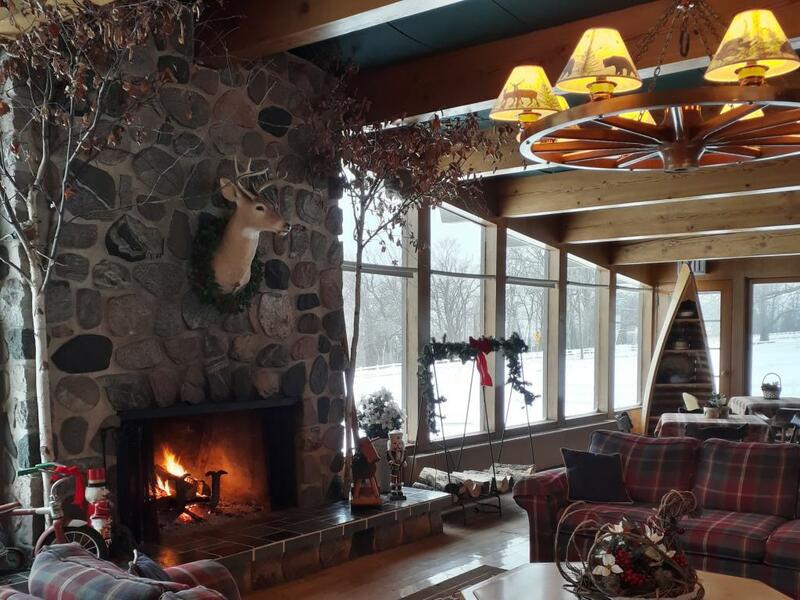 More of a winter person? Cross country and downhill skiing are within a ten minute drive, as is the snowmobile trail head. 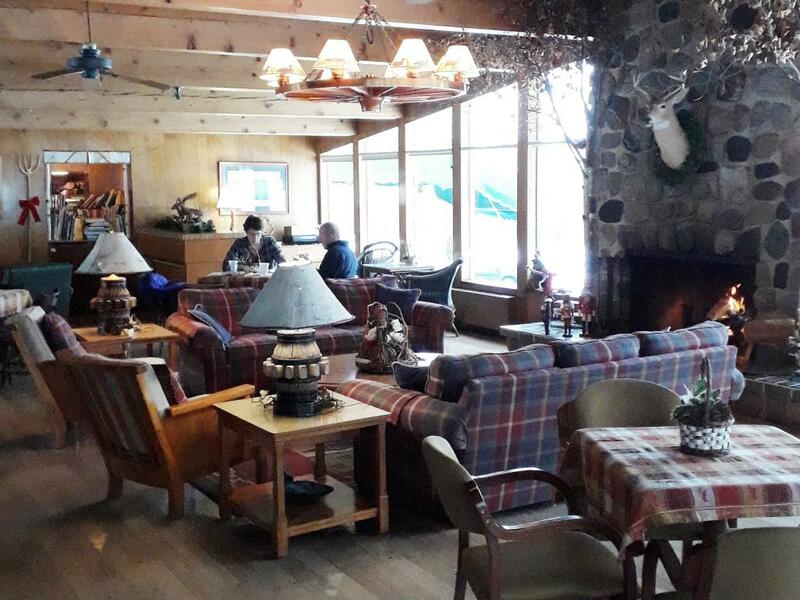 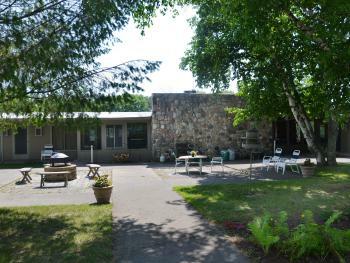 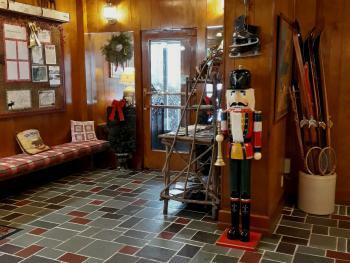 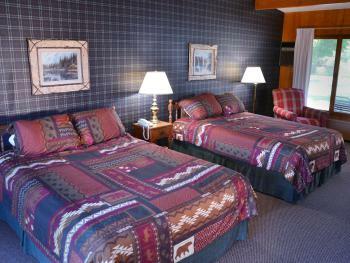 Whichever season, the place to relax and enjoy your visit to Northern Michigan is Birchwood Inn. If you require ground level access or have specific bathroom accessibility needs, please call the Inn directly, 231-526-2151. 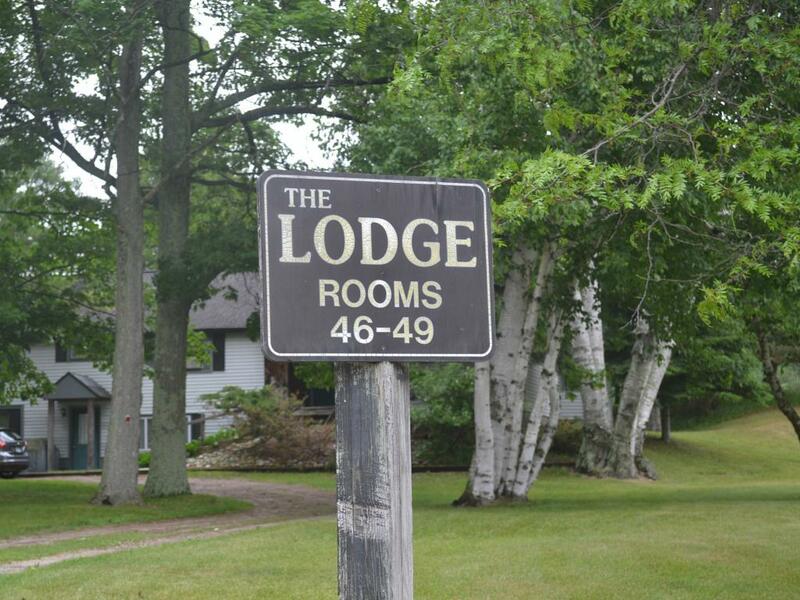 3 miles north of downtown Harbor Springs on M-119.